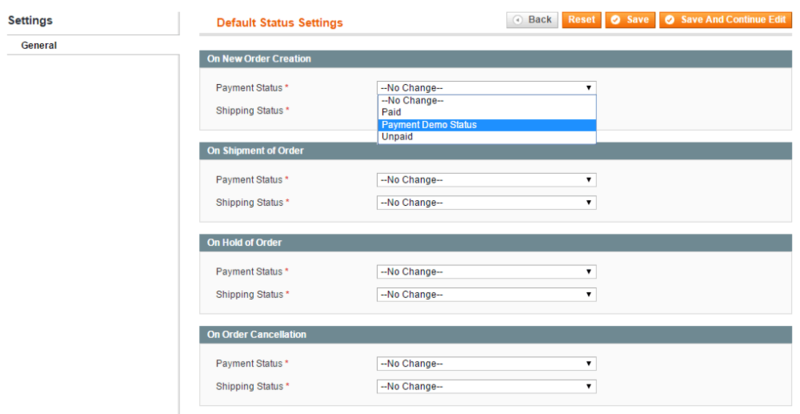 The Magento Custom Order Status extension gives admin complete control over order flow with improved order management and custom order status reports. 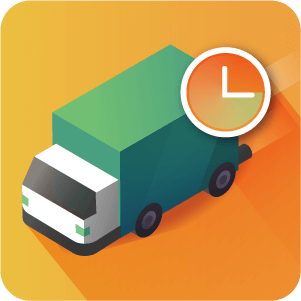 Add as many custom payment and shipping statuses as you need, send automatic order status change notifications to customers, and track orders to increase efficiency. 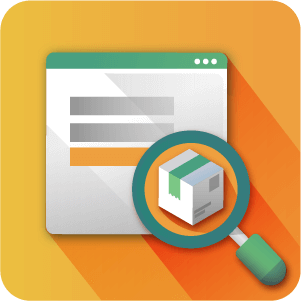 The Order Status Extension allows you to hide the generic Magento® order status and change the order status to include more useful information. 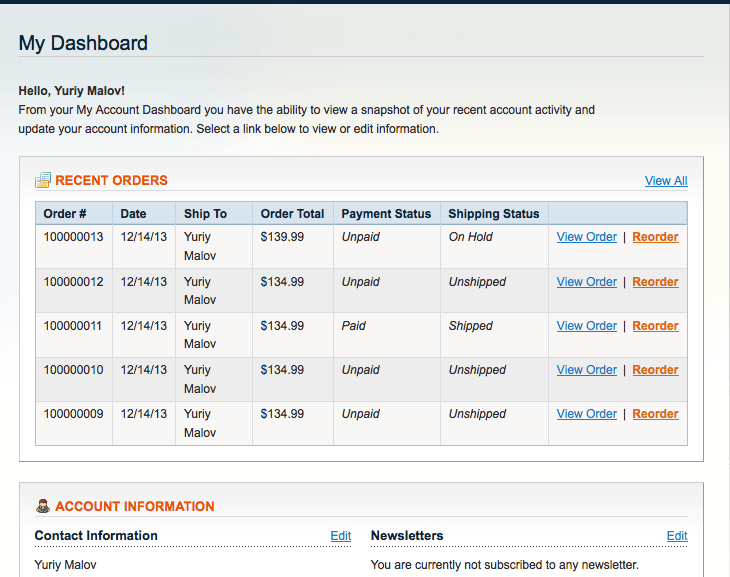 This extension displays two statuses: a payment status and a shipping status. 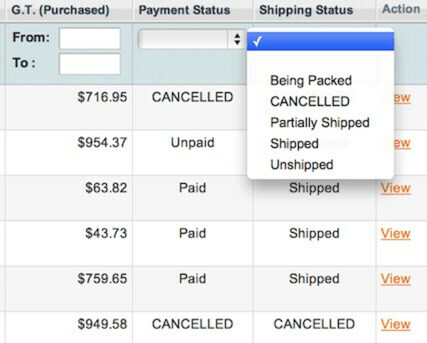 This gives customized order tracking information to show which orders have been shipped but not paid for, or paid for but not shipped, etc. 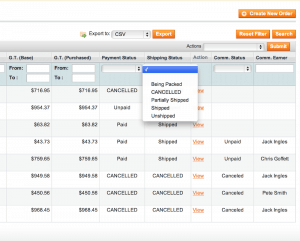 The new shipping and payment column in orders grid. 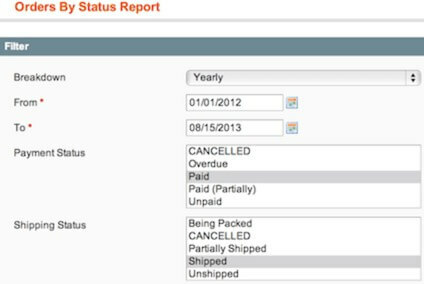 By using Magento Order Status Manager extension, you can easily track what goes into and what comes out of each status reports, including sorting orders by status. 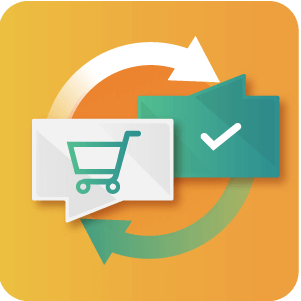 With the addition of payment and shipping statuses, admins can change order statuses to more accurately inform customers of order processing. 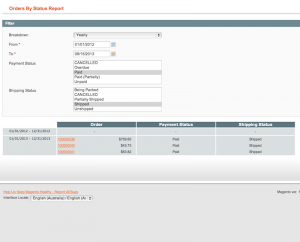 Admin can update customers on order status changes using the customer dashboard or via email notifications. This increases customer communication and loyalty by keeping customers informed. 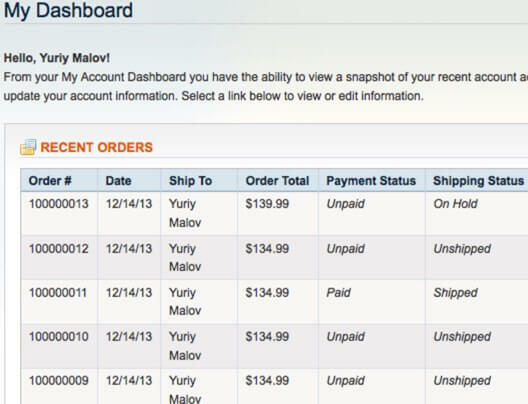 The customer dashboard which includes both payment and shipping status. 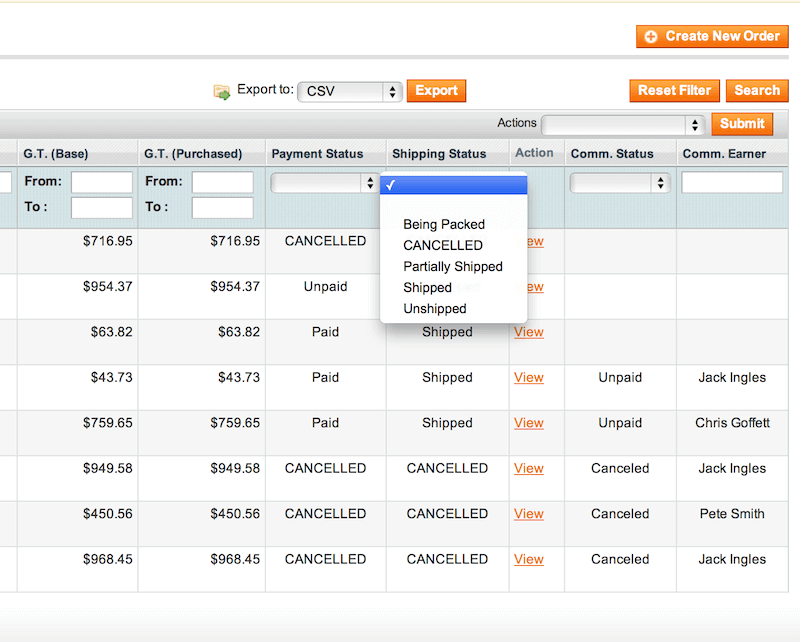 After adding custom order states, you can easily sort orders by statuses based on any combination of shipment & payment statuses and export the result to CSV or PDF. Generate reports based on new statuses. 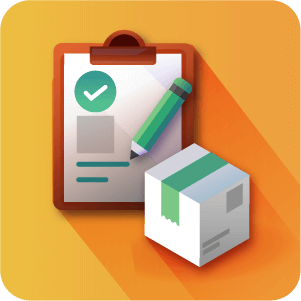 Both shipping & payment order statuses will show in the purchase order details page and in the customer email notifications, as well as in the customer dashboard. Add as many order statuses as you want! 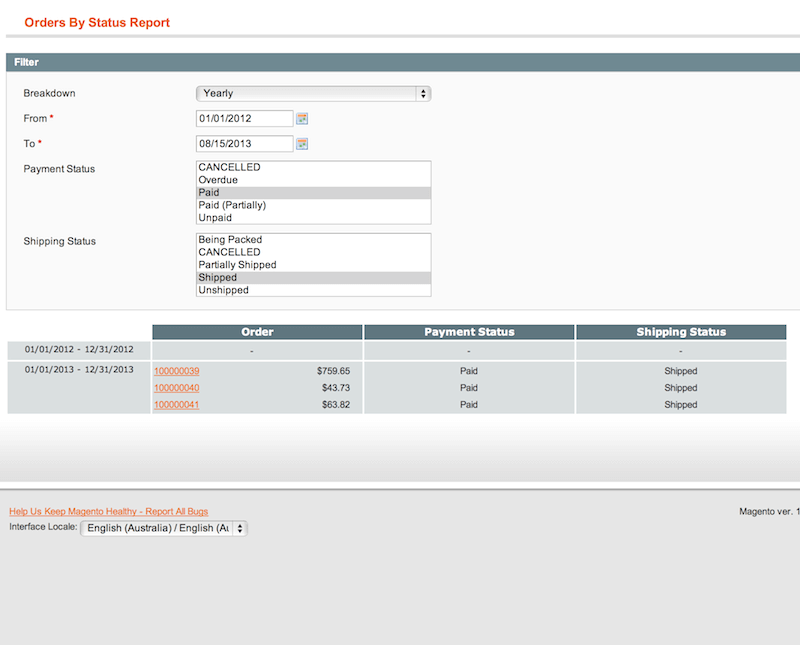 I need the original Magento order status to show, too. Can you do that? 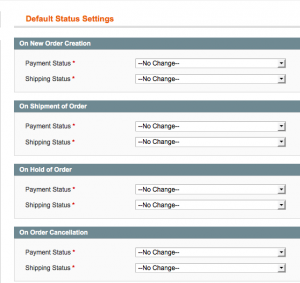 Yes, we can preserve and display the default Magento order status, but this is considered custom labor and is subject to additional service charges. 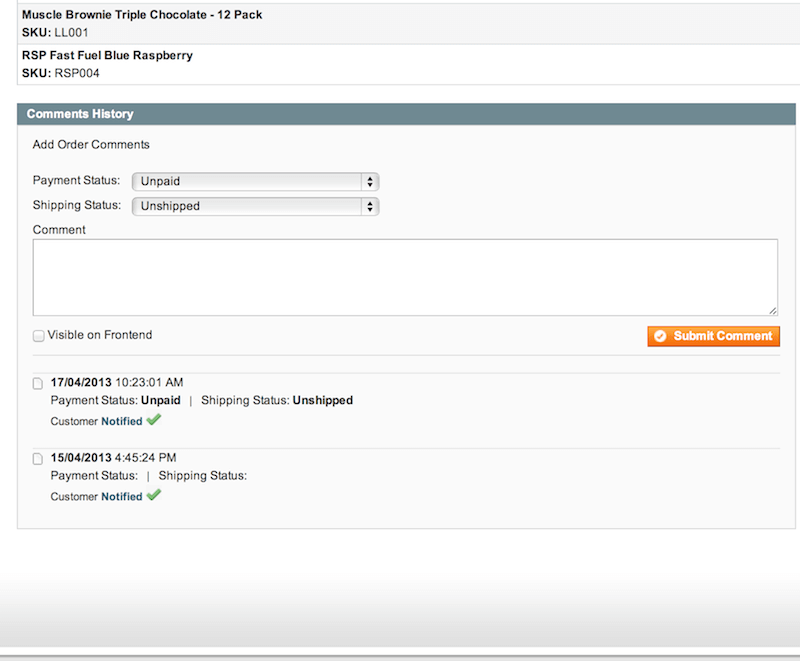 Do the new order status attributes change automatically when I ship or cancel an order? During the extension configuration, you will specify how you wish order status attributes to change when you perform actions. If you prefer changes to be set automatically they can be set automatically, if you prefer them to be set manually they can be set manually too. 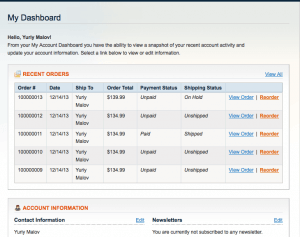 What happens to Magento custom modules that rely on the Magento order status? Since the default order status is still in the database, it will still be changed behind-the-scenes when you perform actions like shipping or canceling orders. Because of this, Magento custom modules that pull information from the default order status field should continue to work as usual. 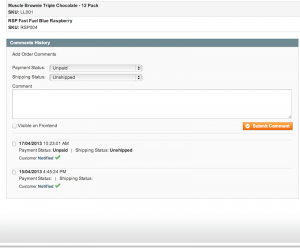 What happens to order status data for previous store orders? All previous order status data will be preserved in the database in case you ever need them. Unfortunately, we have no way to map the old statuses to new orders, so when you first install the module, you may need to set up some manual order statuses. 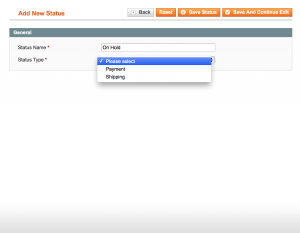 What happens to the original Magento order status field? Can I change any order on my store to a custom order status? Yes. 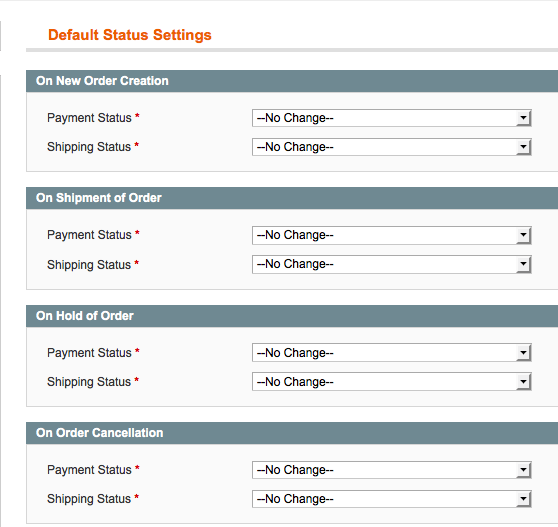 The basic edition of the extension lets you create whatever custom order status you want. With the Pro and deluxe editions you can separate the order status into 2 different fields: payment and shipping, and then create a custom order status for each of these fields.